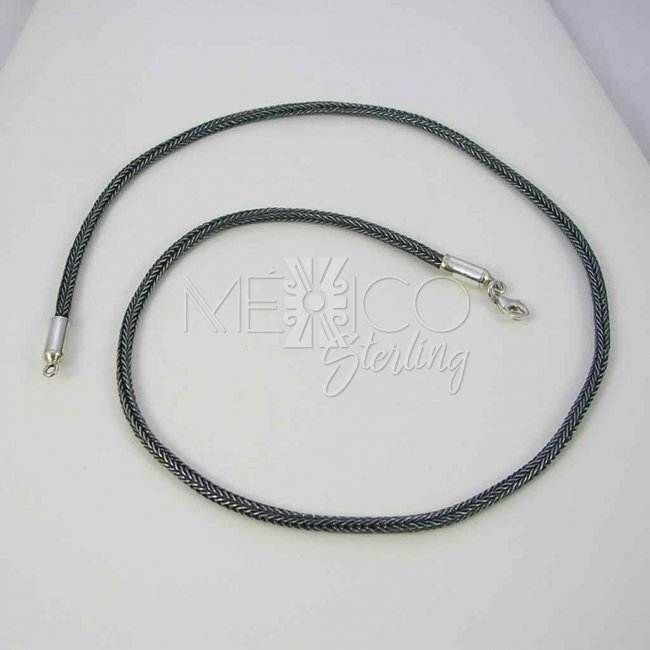 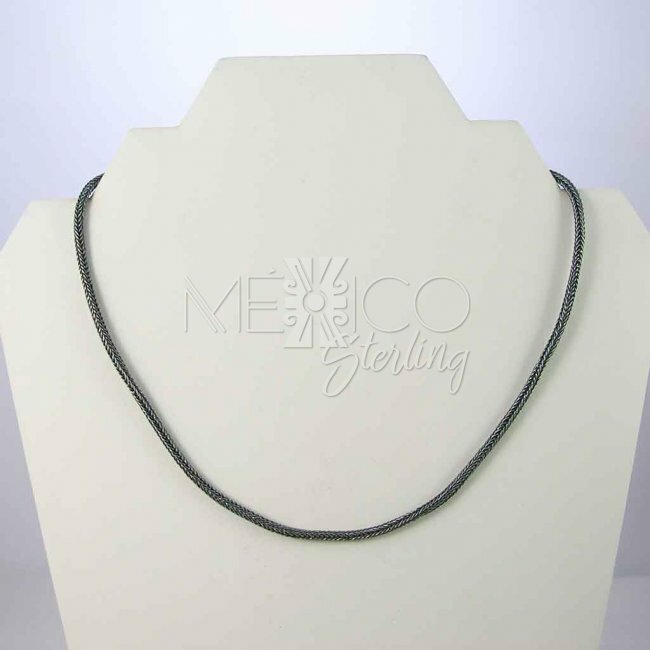 Midnight in Taxco Silver Necklace [NKL3199] - $78.00 : Mexico Sterling Silver Jewelry, Proundly from Mexico to the world. 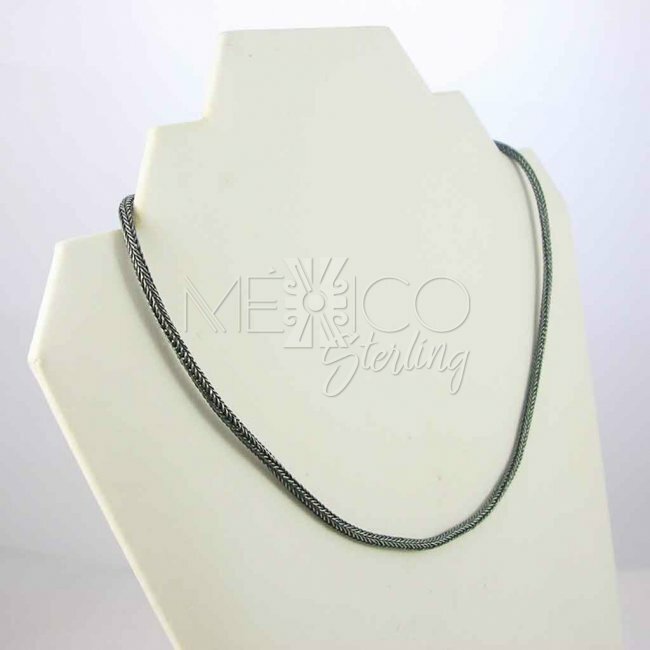 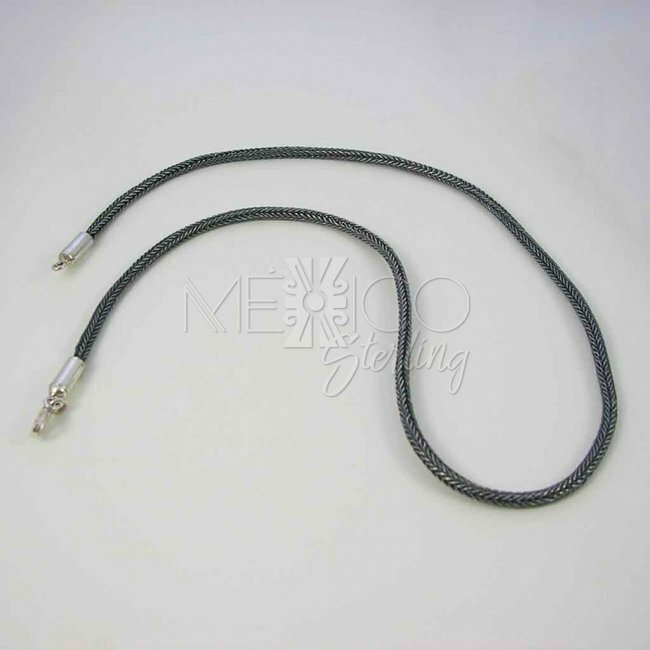 Dimensions: Width: 1/8" length: 18"
Beautiful thin braided chain, that shows oxidized silver twisted in a nice and flexible built. 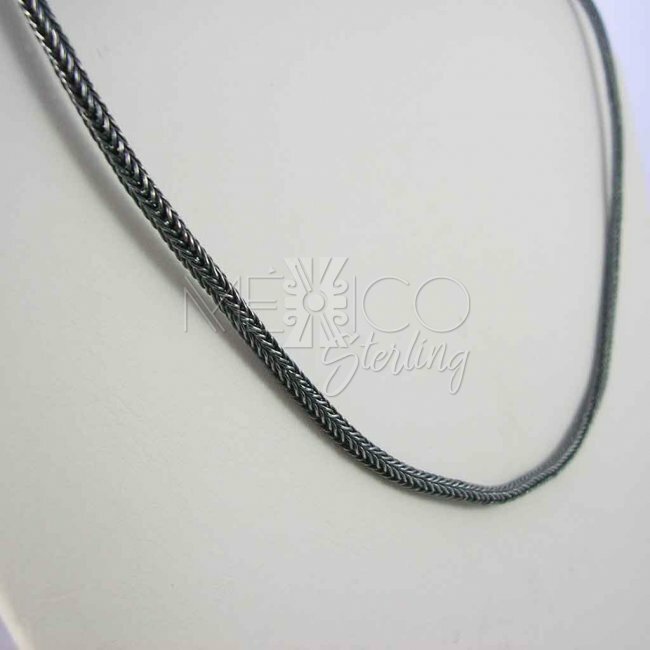 It is a sturdy piece that looks wonderful in a clean casual look. 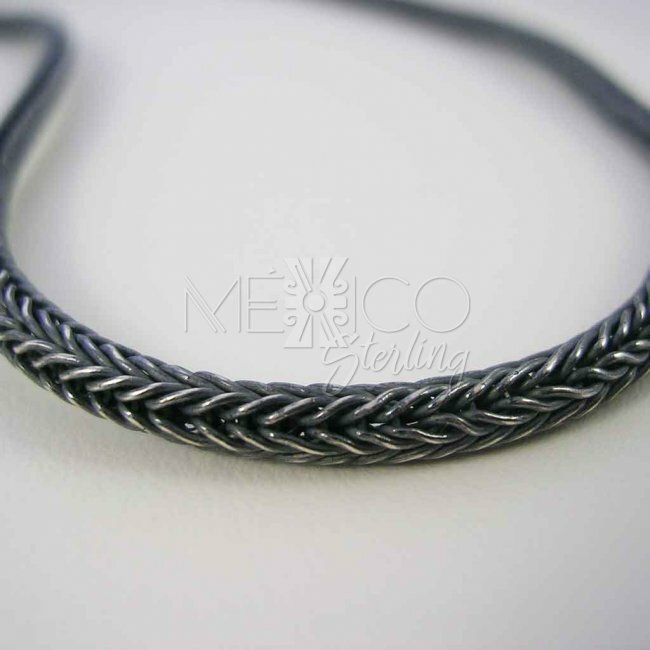 completely handmade with an excellent workmanship. 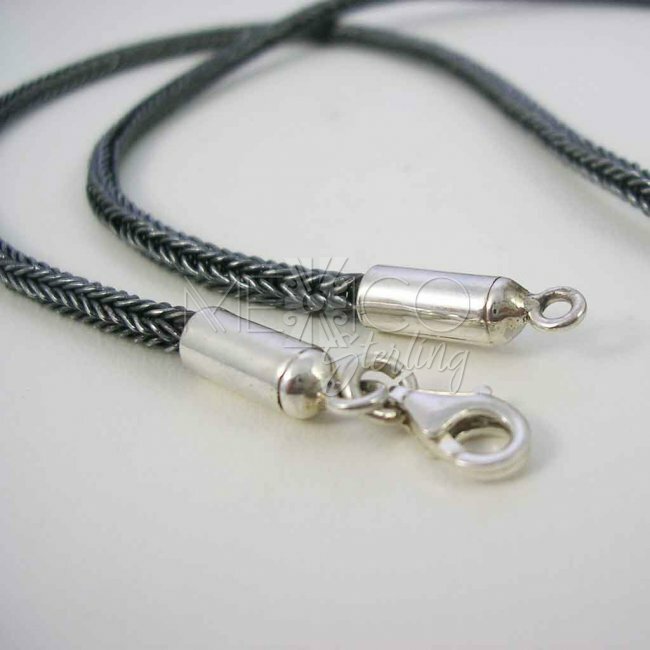 Please take a look at the additional photos for more details in this piece.